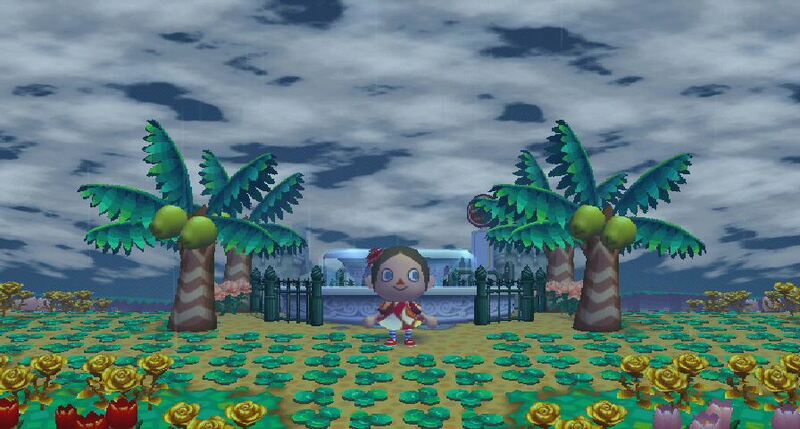 When you add your fountain to your town, there is a special action that you can do. 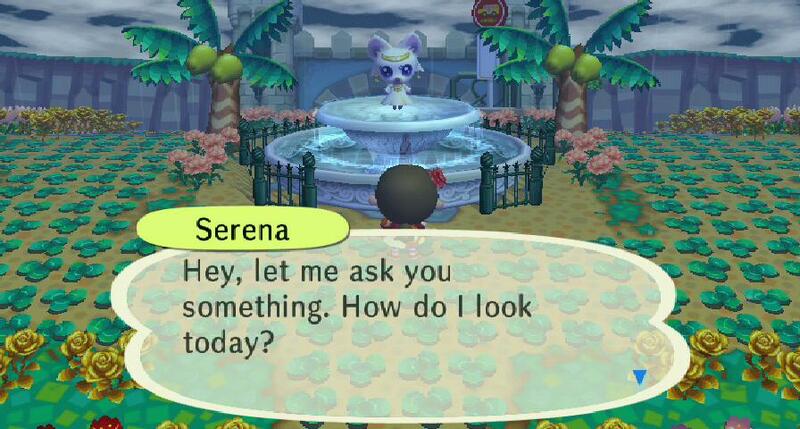 If you throw an axe (whether it be regular, silver or gold) into the fountain, Serena appears, and asks you a series of questions, resulting in several different possiblities. Note: You can still get a golden/silver axe if the axe they throw into the fountain is nearly broken (not known if the condition of the original axe affects this). Serena tends to want to play games with others, so her first question, depending on the answer, can lead to more questions, until you finally lose your axe, get the axe back that you thrown in, or get the new Silver Axe or Golden Axe. 1a) Serena: What kind of axe did you throw in? Gold Axe --> Takes your axe or may return your axe. Silver Axe --> Takes your axe. Normal Axe --> May return or take your axe or continue with questions 1b or 1c. Nope, nothing --> Takes your axe. 2a) Serena: Don't you think I look completely different? Same as ever.--> May return axe or take your axe or continue with questions 2b. 3a) Serena: Do you really not like me or something? Yeah! --> Prompts question 3b. Of course not! --> Takes your axe. 1b) Serena: Did I seem goddessy? Spot On (top) --> May return your axe or give Silver Axe, or continue with question 1c. About 85% (top) --> Might give you Golden Axe or return axe. No! (bottom) --> Gives you Silver Axe or takes your axe. 2b) Serena: What kind of axe do you want? Gold Axe --> Prompts question 3c or returns axe or takes your axe. Silver Axe --> Prompts question 4c or takes your axe. Regular Axe --> Returns your axe or gives you a Silver Axe. Nothing --> Returns axe or takes your axe. 3b) Serena: Did I do something to make you not like me? Yeah, you did! --> Prompts question 2c. Not really. --> Takes your axe. 1c) Serena: I do happen to have some silver axes lying around. Want one of those? Yeah, gimme! --> Takes your axe. Yes, please --> Takes axe or returns your axe or gives you a Silver Axe. No, Thanks --> Takes your axe. A lot much! (top) --> Takes your axe. (between middle and top) --> Takes your axe or prompts question 1d. (middle) --> Takes your axe. (a smidge below middle) --> Takes your axe or prompts question 1d. (between middle and bottom) --> Takes your axe. A little (bottom) --> Takes your axe. Yes (top) --> Takes your axe, or prompts question 2d. (between middle and top) --> Returns axe. (middle) --> Takes axe or returns your axe or gives you a Golden Axe. No (bottom) --> Takes your axe. Super bad! (top) --> Returns your axe or gives you a Silver Axe or Golden Axe. (between middle and top) --> Takes your axe. (middle) --> Prompts question 2d. Meh, whatever. (bottom) --> Takes your axe. Yeah, you're right --> Takes your axe. It's not that bad! --> Prompts question 1e or 1f. 2d) Serena: Did you really think that? Yeah, I did! --> Takes your axe. Maybe not... --> Prompts question 1g. 1e) Serena: Do you think you'll be able to like me more? Yeah! --> Returns axe or takes your axe or prompts 1g (if she already asked 1f) or prompts question 1f. Nah --> Takes your axe. 1f) Serena: You're just trying to make me feel better, aren't you?! C'mon, cheer up! --> Takes your axe or prompts question 1g (or 1e if not already asked). Not Really --> Takes your axe. 1g) Serena: ...Do you want a present? Yes! --> Prompts question 1h. No, thanks. --> Takes your axe. 1h) Serena: Left or right? Left --> Takes your axe or gives you a Silver Axe. Right --> Returns axe or takes your axe or gives you Silver Axe or Golden Axe. 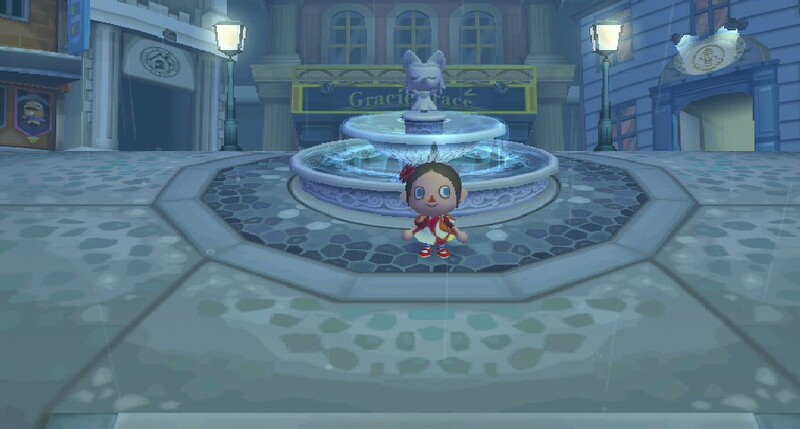 Fun Fact: Serena can also be found in the middle of the City's fountain, although as a statue and not as a real person.